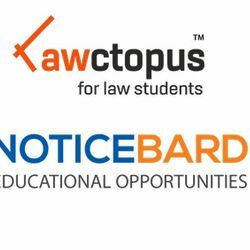 We might have published your event/opportunity on Lawctopus or Noticebard which helped you reach the right people. Or an event, opportunity or article published on our sites might have helped you make an informed and inspired decision in your professional journey. If yes, do consider paying us something. The suggested contribution is Rs. 2000 but you can pay as much as you desire. A gift is a blessing, no matter how small or big! PS- Yes, we earn well through ads, but such contributions help us invest more resources in helping students make informed and inspired choices about their careers!